Huge French festival features San Francisco Bay Area furry and Good Boy, Trip E. Collie, as national poster dog! “What It’s Like to Attend a Furry Convention” – in Men’s Health magazine. Hip hop artist Killer Mike at Furry Weekend Atlanta. Killer Mike does music, acting, and “outspoken social activism” from a home base in Atlanta. Apparently I’m lame because I didn’t know him before? Now I do because he was tough enough to proudly hang with furries. Nice. Skypro Fursuits suffer vehicle and trailer theft at FWA. Further Confusion 2015 covered by Science Fiction/San Francisco fanzine. 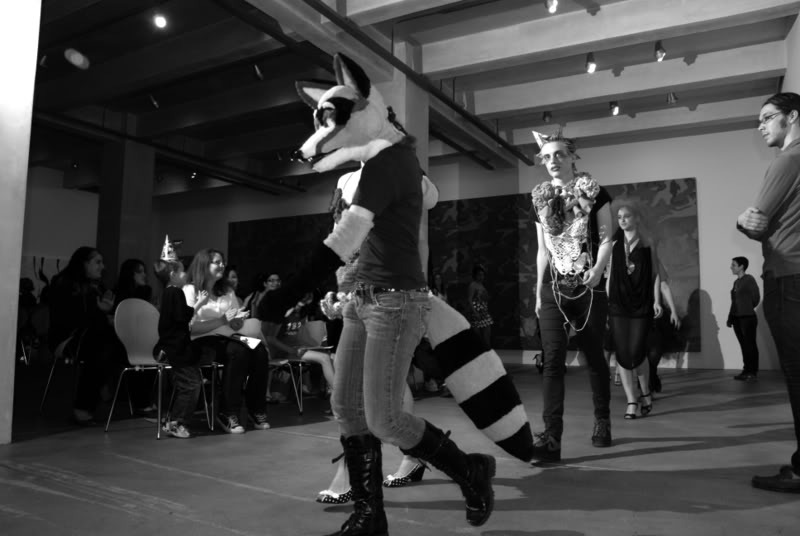 Furries: A Documentary – seeks funding on Kickstarter. Production is complete and it’s just seeking post-production help. It’s a great reason to check out what it will do with a modest goal of $2,500. DJ contest: Furry is very close to winning, needs votes by April 17. FURRY GOOD IDEAS: Fursuit of the Year award and fashion show, and more. Read to bottom for Fred Patten’s informative comment that inspired this. In 2014, fun hobby blogging exposed me to many new ideas that could use more development. This blog is for underexposed, underrated topics. That’s subculture, and it’s about fan love. I love sharing it! Looking back at some articles about new ideas and opportunities, I think they could use a feature. FURRY GOOD IDEAS joins previous special features here. I was going to call this “What Furry needs”. But nobody really NEEDS these. This isn’t preaching what’s best for you. It’s just observation from one enthusiastic fan, inspired by other fans. It comes from a thriving subculture that ‘s expanding with a convention every weekend, somewhere in the world. That makes a lot of room for ambitious proposals. This is an attempt to highlight ideas with popular demand, appeal, or opportunity to make real. Share yours too!